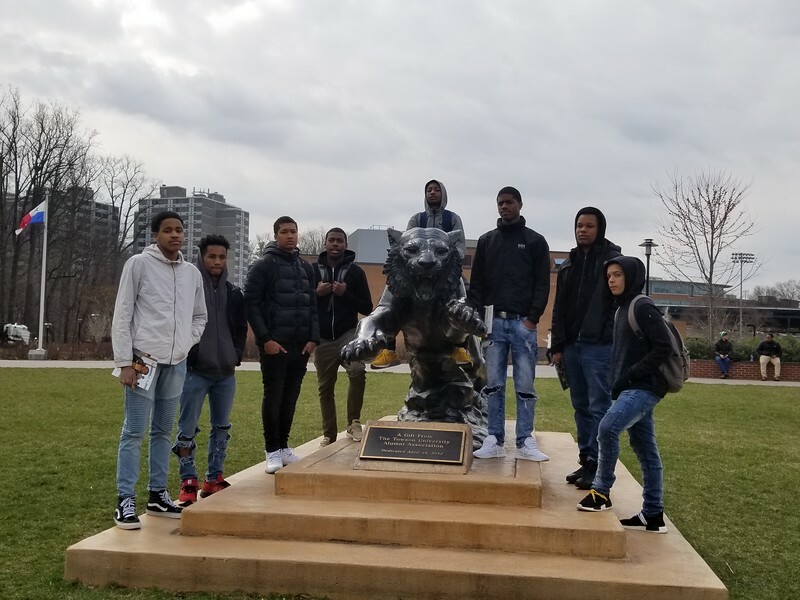 On Wednesday, April 11, 2018, the Alpha Academy high schoolers traveled to Baltimore, MD to participate in college tours to Towson University and Morgan State University. At Towson University, the high schoolers had the opportunity to participate in a Health Fair. The tour at Morgan State University was led by an Alpha man who gave the high schoolers tips on how to be successful as well as shared the highlight of the campus and his college experience. There were a total of 8 young men in attendance with the support of 2 brothers from Xi Alpha Lambda.